Click on picture below for full size view. Warning, image size is 527kb. Click on picture above for full size view. Warning, image size is 527kb. 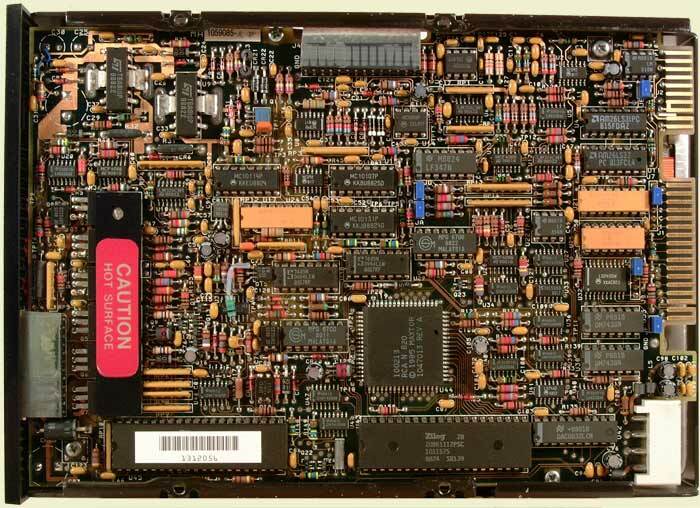 Pictured above is the logic board of the RD54 disk drive. The right side of the picture shows the J1 and J2 interface connectors of the drive as well as all of the configuration jumpers and interface bus termination resistors. The white connector housing at the bottom right is the DC Power connector.